Sports is a big part of my life. The NY Yankees were playing Game 5 tonight…do or die game. They were down 0-2 and very few teams come back in a playoff series. I decided to burn all my pent up anxiety. I took Emily’s spin class and spun the junk in my trunk off. Being in a Junk state of mind, I decided to do a drive by at the TKTS Booth at Lincoln Center. The Broadway play, JUNK, just opened in previews. Ayad Akhtar wrote, JUNK. His previous play, Disgraced, an emotionally raw drama focused on a culturally conflicted Pakistani-American lawyer, is one of my favorite dramas. JUNK is set in the high-flying, risk taking financial world of the 1980s. It is inspired by the real junk bond kings of the day. The audience is privy to inside trading and how money became the only thing that mattered. 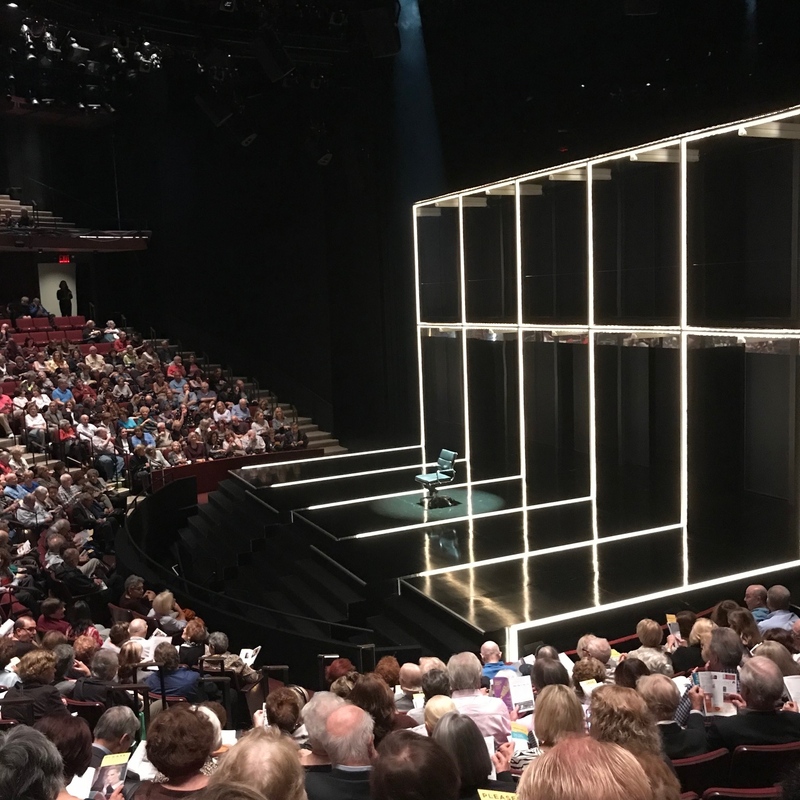 The staging and acting were excellent, especially Steven Pasquale as Robert Merkin, the Michael Milken/Henry Kravis inspired character. I must admit to being negatively affected by the play because the premise, despite the 2008 stock market collapse, is still very relevant. With Agent Orange in charge, the country’s psyche is all about power and money, the haves and the not haves. JUNK is a briskly performed, suspenseful, high powered play. Home again, I made dinner and anxiously awaited the start of the Yankee game. I turned on FS1 and believe it or not, it was the only channel that I couldn’t get reception. A 20 minute reboot escapade with Spectrum, I finally picked up the game in the second inning.. The next 4 hours dragged on…I was totally immersed in every pitch, each hit, all fielding maneuvers. At the stroke of midnight, I Started Spreading the News. 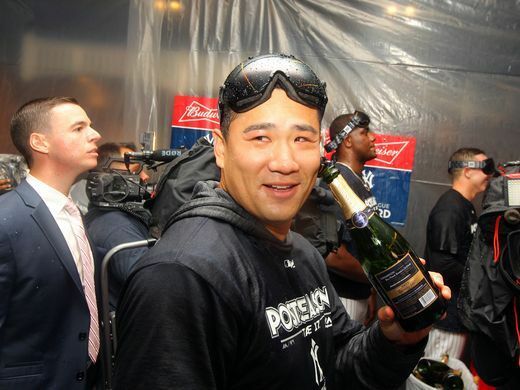 The Yankees are the biggest surprise Playoff victors. Not a Junky day after all. 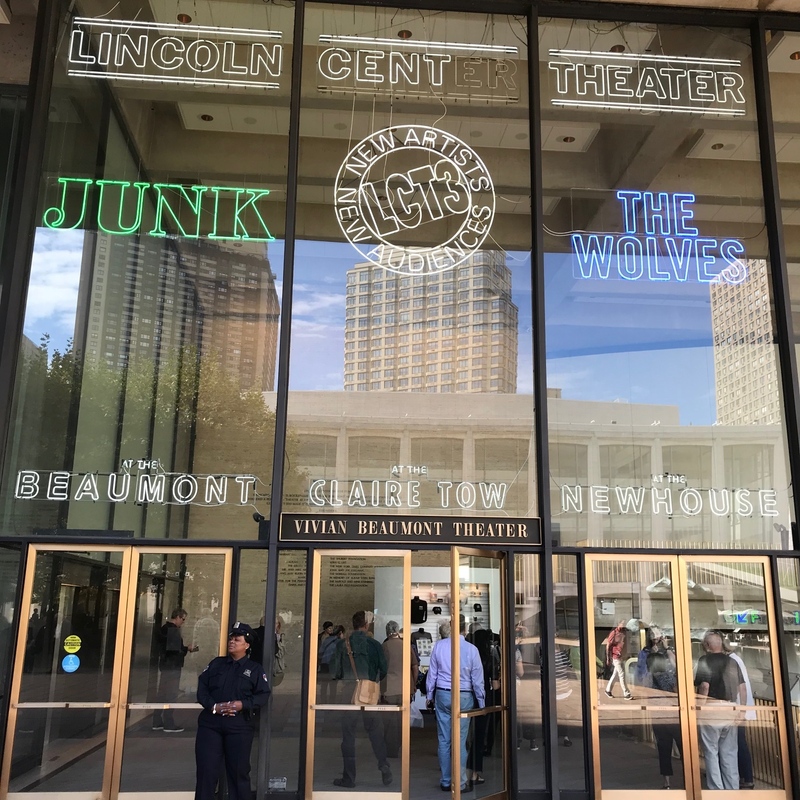 JUNK Lincoln Center Theater at the Vivian Beaumont 150 West 65th StreetNew York City. Previews begin October 5th and Opens November 2nd.